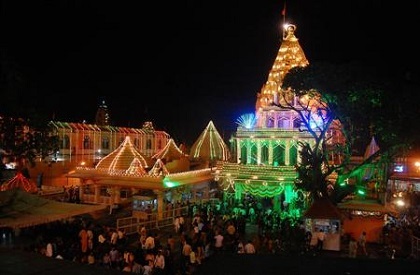 UJJAIN: The ancient and revered Mahakaleshwar Temple in Ujjain has achieved a special distinction, finding place among the ten new cleanest sites of importance in India under the Swachch Bharat Mission. The announcement in this regard was recently made in Katra of Jammu & Kashmir by union rural development minister Narendra Singh Tomar during the quarterly review meeting, Ujjain district collector Sanket Bhondve told NewsBits.in. The Mahakal Temple, as it is popularly known, has been selected in the second phase as cleanest sites of importance. The other sites that have made it to the list include Gangotri, Yamunotri, Charminar of Hyderabad, Church and Convent of St Francis of Assisi in Goa, residence of Adi Shankaracharya in Eranakulam (Kerala), Gomateshwar in Shravanabelagola, Baidyanath Dham in Deoghar, Gaya Teerth in Bihar and Somnath Temple in Gujarat. The ancient temple in Ujjain houses the Mahakaleshwar Jyotirlinga and is one of the most famous Hindu temples dedicated to Lord Shiva. It is one of the twelve Jyotirlingams, which are supposed to be the most sacred abodes of Lord Shiva. The temple is situated on the side of the Rudra Sagar lake. The presiding deity, Lord Shiva in the lingam form is believed to be Swayambhu, deriving currents of power (Shakti) from within itself as against the other images and lingams that are ritually established and invested with mantra-shakti. The temple is said to have originated during pre-historic times, with references found even back in 5th century BC. The present structure was built by the Maratha general Ranoji Scindia in 1736 CE. Further developments and management was done by other members of his dynasty, including Mahadji Scindia (1730–12 February 1794) and Daulat Rao Scindia's wife Baiza Bai. (1827–1863). After Independence the Dev Sthan Trust was replaced by the municipal corporation of Ujjain. Now, it is under the jurisdiction of collector office of Ujjain district.